Bed bugs have been known as human parasites for thousands of years. Early in the 1940’s they were mostly eradicated in the developed world but since 1955 have recently increased in prevalence. Because infestation of human habitats has been on the increase, bed bug bites and related conditions have been on the rise as well. 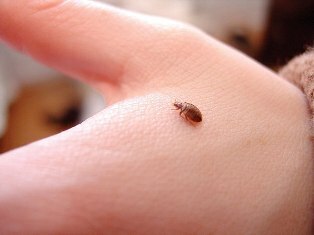 A number of symptoms occur with bed bug bites that include skin rashes, psychological effects, and allergy-related symptoms. Bed bugs are usually active at night, however, they are not nocturnal, and can feed on their host without being noticed. These parasitic insects prefer to feed on human blood than anything else. The name “bed bugs” is derived from the insect’s inhabitant of houses where humans dwell, specifically in areas where they lounge such as the bed, couch, or chairs. For more detailed information on a bed bug's life cycle, symptoms, and eradication techniques view our bed bugs downloadable profile.